Deer Park is a small community north of Greenwich town center. The boundaries of the community are roughly North Maple Avenue to the north which curves around to form the eastern edge of the community as well, Highway 1 to the south, and Lake Avenue to the west. Deer Park is in the 06830 zip code. Communities within 3.5 miles of Deer Park include Belle Haven, Cos Cob, Riverside, Port Chester, and Glenville. In 1640 the Siwanoy Indians sold the land that is now Old Greenwich to four Englishman for the price of 20 English coats. Jeffrey Ferris, one of the Englishmen, name the town after his birthplace Greenwich, England. 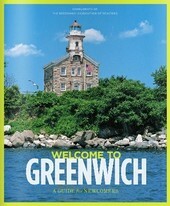 Greenwich was founded in 1640 and is one of the oldest towns in America. Hills and meadows are characteristic of this community situated on Long Island Sound. Citizens in the community are engaged and actively participate in governing their town. Both private and public schools in Greenwich are outstanding with 87% of the public school teachers holding master's degrees. Greenwich has a total area of 48 square miles much of it along the scenic shores of beautiful Long Island Sound. Boat owners, beach goers, and those who love the outdoors and sailing will find plenty to do in Greenwich. Greenwich has boating clubs, riding trails, running paths, dog parks, and skate parks which appeal to active families. Greenwich Avenue, referred to by locals as “The Avenue”, is a one mile long street with a wide variety of stores and restaurants ranging from fast food to world-class cuisine. At the time of the 2010 census, Greenwich had a population of 62,256 residents. 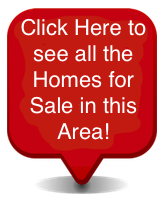 Homes in Deer Park are of exceptional quality. Stately mansion with meticulously cared for gardens and lawns are not unusual. Condominiums/townhomes and single-family homes are the types of properties currently on the real estate market in Greenwich. The average listing price for a single-family home in Deer Park is $4.5 million with homes in Greenwich generally listing for an average price of $2,450,000. Homes currently on the market in Greenwich sell for between $4,215,737 and $49,895,000 for those on substantial acreage and have every amenity imaginable. Contact us today to answer any questions or to schedule an appointment to see any of our magnificent properties in Deer Park or any neighborhood in Greenwich, Connecticut.